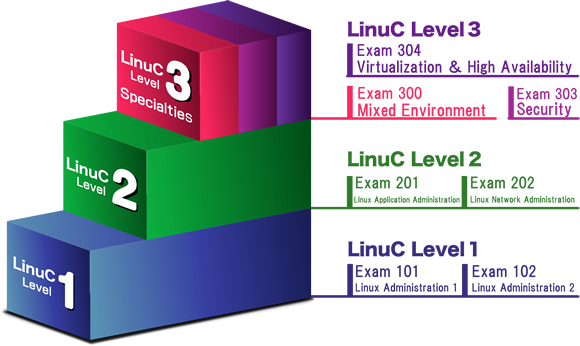 LinuC (Linux Professional Certification) is a certification series designed to evaluate the knowledge and skills of IT professionals. Planning and development of these exams is managed by LPI-Japan, an NPO, with support from major Japanese IT companies, professional development enterprises and industry publishers. 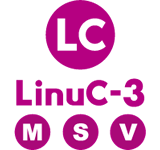 LinuC is an independently operated, vendor-neutral certification that certifies proper Linux knowledge and skills. 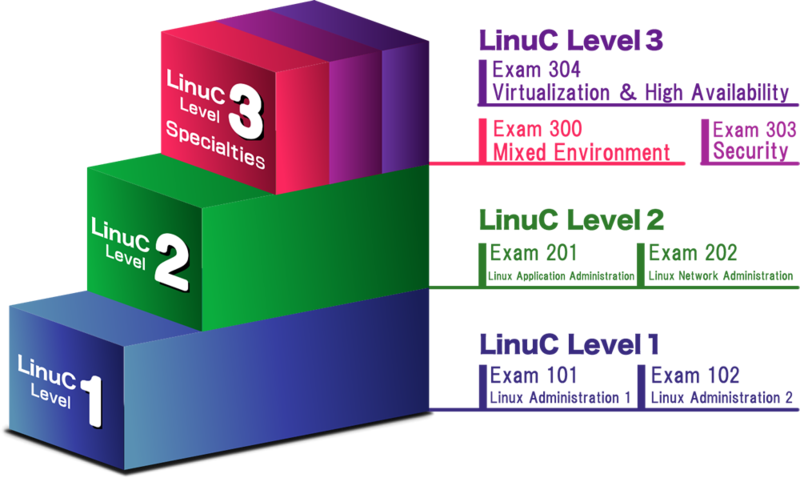 LinuC is a new Linux professional certification standard that began in March of 2018. However, this exam includes the same range of objectives as LPIC standards, allowing candidates to utilize previous study time and experience to smoothly complete their exams. This certification series also includes study support through free and paid seminars, proactive measures against exam question leaks, and an online portal for candidates to review their results in detail. 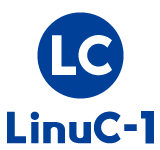 LinuC is designed to help candidates feel confident about the certification process so they can apply their skills freely. The LinuC series is divided into 3 levels, evaluating 3 different groups of skill sets. Certifies competency in basic Linux server operation and system management as an engineer. Certification requires a passing grade on both Exam 101 and Exam 102. Each exam costs￥15,000 (JPY) / $150 (USD). Certifies competency in system planning, installation, maintenance, trouble shooting and capacity planning for Linux system design and network construction as an engineer. Certification requires active LinuC Level 1 certification and passing grades on both Exam 201 and Exam 202. Each exam costs ￥15,000 (JPY) / $150 (USD). Certifies specialists in system construction within mixed environments, integrated authentication and sharing resources. Certification requires active LinuC Level 2 certification and a passing grade on Exam 300. Each exam costs ￥30,000 (JPY) / $300 (USD). Certifies specialists with knowledge of high security systems and competency in high security system design and server construction. Certification requires active LinuC Level 2 certification and a passing grade on Exam 303. Certifies specialists in virtualization and high-availability technology for cloud construction. 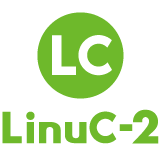 Certification requires active LinuC Level 2 certification and a passing grade on Exam 304. LinuC exams are delivered through Pearson VUE, the test distribution company. Candidates can schedule an exam for their preferred date and time at any test center worldwide. You will need to create an EDUCO-ID before making a reservation with Pearson VUE. Please note that all LinuC candidates are subject to the following three policies. Specifically, please remember that candidates who violate the retake policy will be unable to schedule exams through Pearson VUE. © LPI-Japan all rights reserved.